PM Modi has launched Ayushman Bharat, the worlds largest government-funded healthcare programme. The Ayushman Bharat scheme, which would benefit 50 crore Indians, will be rolled out from Jharkhands capital Ranchi. The programme, also called Pradhan Mantri Jan Arogya Abhiyan, aims to provide coverage of Rs 5 lakh to 10 crore economically backward families. 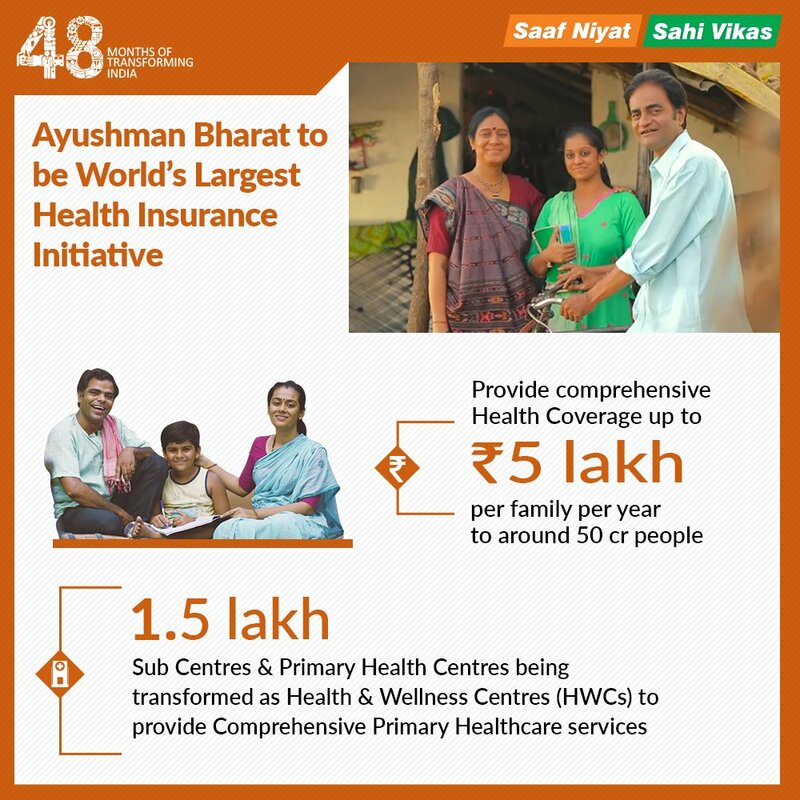 Over 8,735 hospitals, both public and private, have been empanelled for the Ayushman Bharat scheme, and as many as 31 states and union territories have signed MoUs with the centre and will implement the programme.